Our Facebook and Google Plus pages are updated daily with photos, videos and the local buzz. Plus, you’ll find more videos on our YouTube channel and more than 40 boards on our Pinterest channel. And if you follow us on Twitter, we alert you to upcoming events and happenings. 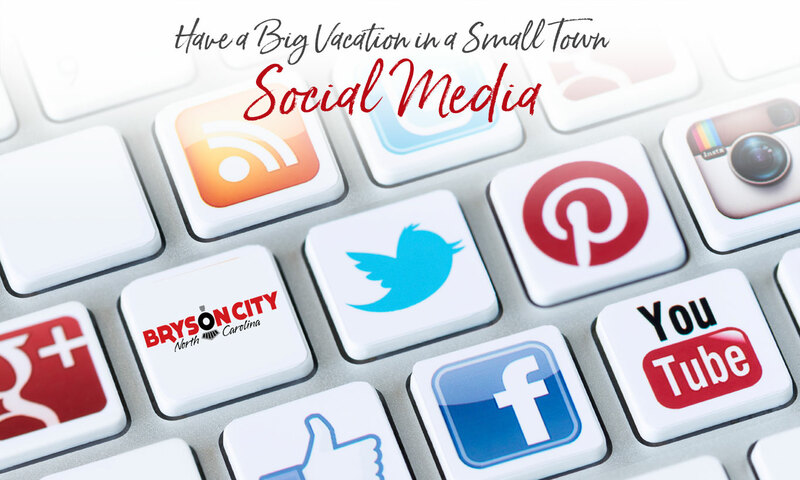 Following us in the social media is the very best way to keep up with happenings in the Bryson City area.